Decoding the Labels: What’s Actually Inside? Consumers are becoming more aware of the ingredient safety in personal products and toiletries. 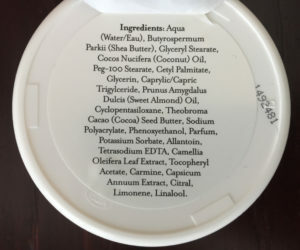 The front labels of many packages now tout things like “Paraben Free” and “Sulfate Free.” Other claims on labels are often “All Natural” “Organic” and “Pure.” However, the scrupulous buyer will flip that bottle, tube or box over to see the real health implications of the ingredients. There are minimal regulations on what manufacturers can put on their product labels, which can lead to inaccurate claims. Many companies that use some natural ingredients–but also a slue of controversial chemicals–can put these terms on their products to attract health-conscious consumers. I found this rather stunning a response. If this woman looked closely at the ingredients label, she would see BEHENTRIMONIUM CHLORIDE, CETEARYL ALCOHOL and PHENOXYETHANOL, which are not found in nature… My point is not to criticize this woman or to sling mud at Aveda. The woman kindly offered to see if there were phthalates in the product and said she couldn’t find any via a computer search. She also offered to call the corporate office to check. I truly appreciated her effort to assist. The fact remains that Aveda does use herbs and ingredients from plants and other natural sources; however, it also uses processed chemicals that are either untested or shown to have a link to some level of safety concern. Lesson Learned: Take a minute to research a product for yourself and check all ingredients. Some may be very benign (both chemically-derived and natural ingredients) but others may be potentially harmful. 2.) Speaking of phthalates…What better gift to give your Mom, Dad or spouse on a holiday than cologne or perfume? Those rich and beautiful scents. The attractive flavors of spicy cinnamon or a cool spring day. Our olfactory senses are deeply connected to memory recall, making certain scents very powerful for us. The bad news? Most colognes and perfumes are filled with phthalates, the harmful chemical linked to birth defects, obesity, hormone imbalance, asthma and fertility issues. 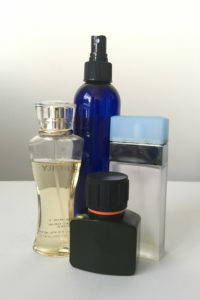 The attractive scents that most colognes and perfumes carry are almost exclusively artificial and are derived from harsh and potentially hazardous chemicals. One registered nurse told me that she believes phthalates are also attributed to thyroid problems, because we spray them directly on our necks where the thyroid lives (a major hormone-regulating organ). Don’t be fooled by names that include flowers, spices and ‘clean’ words. Lesson Learned: Stay away from any scented products, unless the fragrance/ scents in them are completely comprised of essential oils. Even some essential oils can cause irritation for sensitive skin so keep that in mind. 3.) A few years ago, I was perusing my local Ulta store and found a new line that looked to be organic. Excited, I scanned the ingredients, but my shoulders began to slump. Ingredients like HDHM, DIMETHICONE, PEG-120, PPG-2 and METHYLISOTHIAZOLINONE stared back at me. There was virtually nothing organic about this line! How could they label the product as such? Lesson Learned: Don’t trust the branding blindly. Again, research the product yourself to see if it really is “all natural.” There are many truly natural companies out there, but many that are not yet claim to be in order to attract a large consumer base and make buyers feel good that they are purchasing healthy products. It can also increase brand trust and loyalty. So what does that mean for you? How can you decode the labels without stressing? First off, check out the Top 10 Toxins page for information on what to avoid in your products. Thankfully, there are also several websites and apps that offer ingredient safety reviews for thousands of products—everything from hand soap to mouthwash to eye liner and nail polish. The top two, which have the most reliable information based on my research, are the Breast Cancer Fund’s Think Dirty app and the Environmental Working Group’s Skin Deep database, which is a website and app. They offer a value rating from 1-10 and list the individual ingredients’ safety levels. Download them and take them with you on the go. You can even scan the product UPC codes with your camera! In either case, take ownership of your health and buy the products with the safest ratings. Happy shopping!